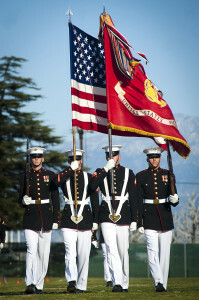 Marine / Corpsman members that need uniforms to participate in Honor Guard will be paid for by the League, if you agree to participate in 50 or more events within an 18 month period. Run for Detachment Officer position – Commandant, Senior Vice Commandant, Junior Vice Commandant, Paymaster, Sergeant at Arms, Judge Advocate, Adjutant and Chaplain. Check with any officer that holds the position your interested in and they’ll discuss their responsibilities with you.